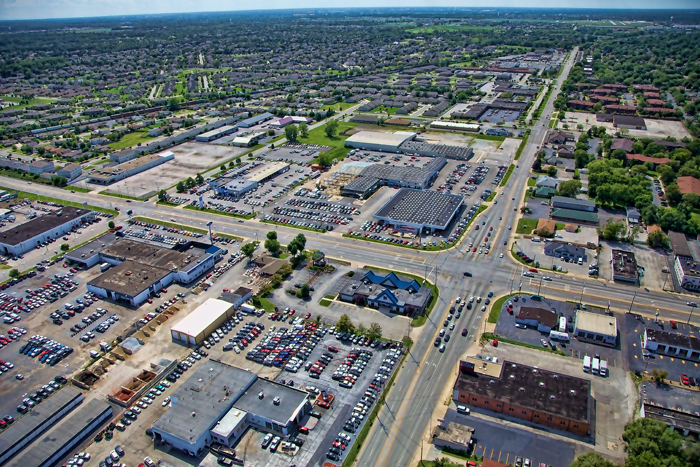 Aerial photo of Highland, Indiana over 45th St. looking east over Indianapolis Blvd. This area has many car dealerships, including Christenson Chevrolet, Webb Ford, Circle Buick GMC, Thomas Kia, Bosak Honda and many other local businesses along this busy corridor of US 41. Aerial photo of Highland, Indiana Car Dealerships on Indianapolis Blvd by Joey B. Lax-Salinas is licensed under a Creative Commons Attribution-NonCommercial-NoDerivs 3.0 Unported License. Permissions beyond the scope of this license may be available at http://www.joeyblsphotography.com. Aerial photo of downtown Valparaiso, Indiana facing northwest taken on Saturday, August 18, 2012. The Porter County Circuit Cout building can be seen in the center of the photo and marks the center of downtown Valpo. In the full resolution version of this photo, the Chicago skyline can be faintly seen on the horizon. Would you like to have an aerial photo of your home or business? I have a huge collection of photographs taken along Indianapolis Blvd/Wicker Ave (US 41) and US 30 corridors. Visit my Northwest Indiana aerial photography page or contact me for more information. 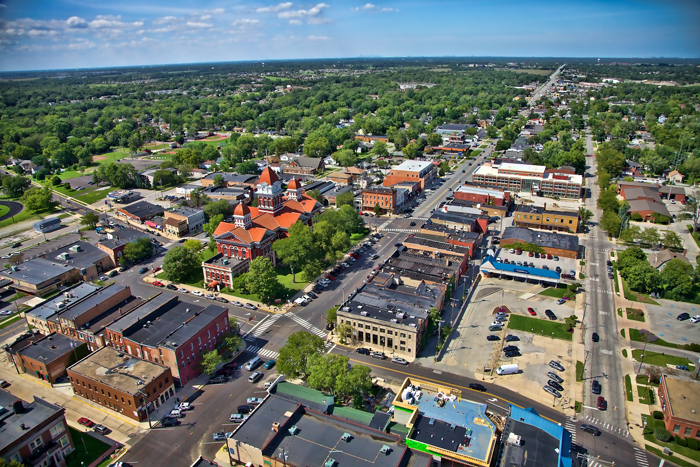 Aerial photo of Downtown Valparaiso, Indiana by Joey B. Lax-Salinas is licensed under a Creative Commons Attribution-NonCommercial-NoDerivs 3.0 Unported License. Permissions beyond the scope of this license may be available at http://www.joeyblsphotography.com. 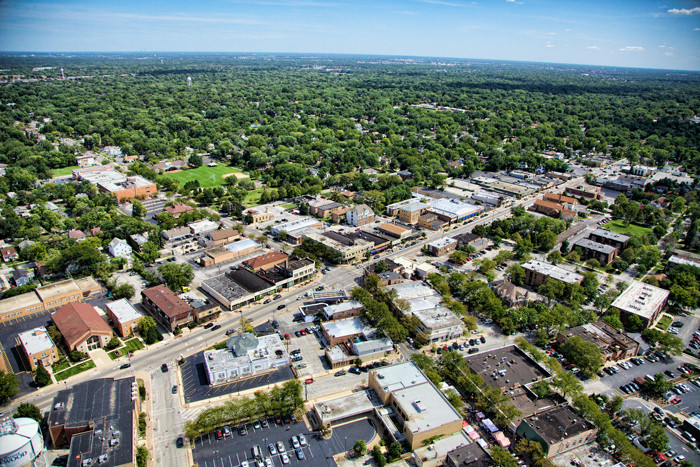 Aerial photo of downtown Homewood, Illinois looking southeast over Dixie Highway. This photo was taken on Saturday, August 18, 2012. I have many more aerial photos taken from across the Chicago and Northwest Indiana area! Would you like to have an aerial photo of your home or business? I have a huge collection of photographs taken along Indianapolis Blvd/Wicker Ave (US 41) and US 30 corridors in Northwest Indiana. Visit my aerial photography page or contact me for more information. Aerial photo of Downtown Homewood, Illinois at Dixie Highway by Joey B. Lax-Salinas is licensed under a Creative Commons Attribution-NonCommercial-NoDerivs 3.0 Unported License. Permissions beyond the scope of this license may be available at http://www.joeyblsphotography.com. 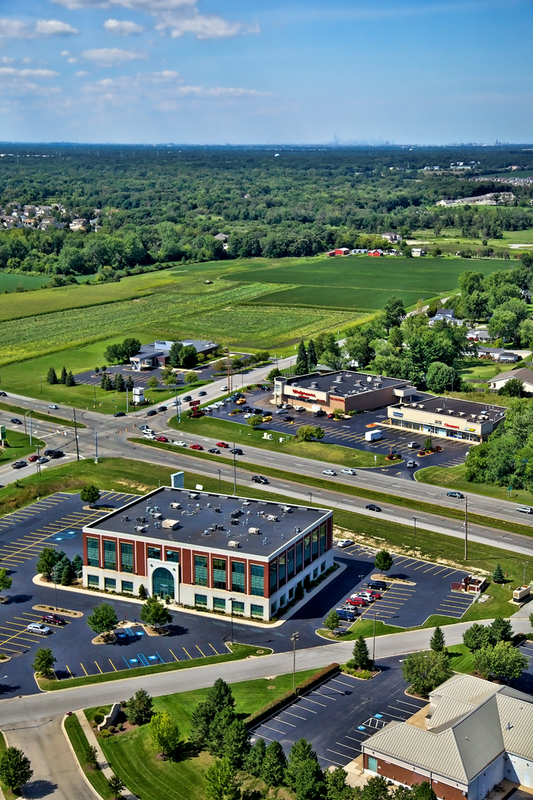 Aerial photo of Schererville, Indiana facing northwest over Tiebel’s Restaurant and overlooking the intersection of US 30 (Indianapolis Blvd) and US 41 (Joliet St). This intersection is known as “The Crossroads of America”. Featured businesses in this photo include Ashley Furniture, AMC 12, White Castle, BP Gas Station, Dunkin Donuts / Baskin Robbins, Baker’s Square, Plaza Motel, Plaza 833 Office Complex and many more. 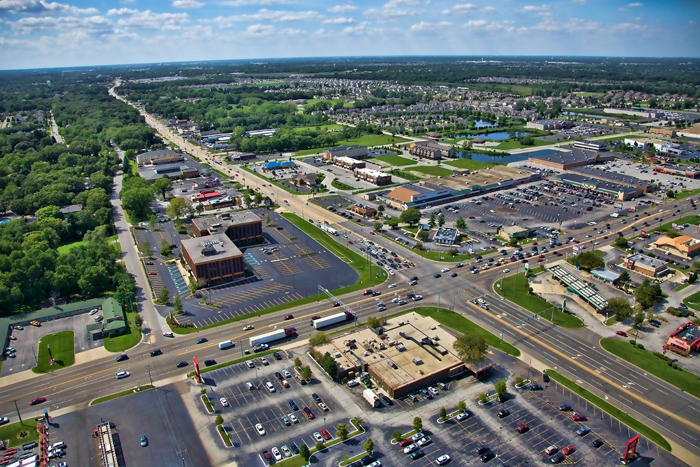 Aerial photo of Schererville, Indiana at US 30 and US 41 by Joey B. Lax-Salinas is licensed under a Creative Commons Attribution-NonCommercial-NoDerivs 3.0 Unported License. Permissions beyond the scope of this license may be available at http://www.joeyblsphotography.com. 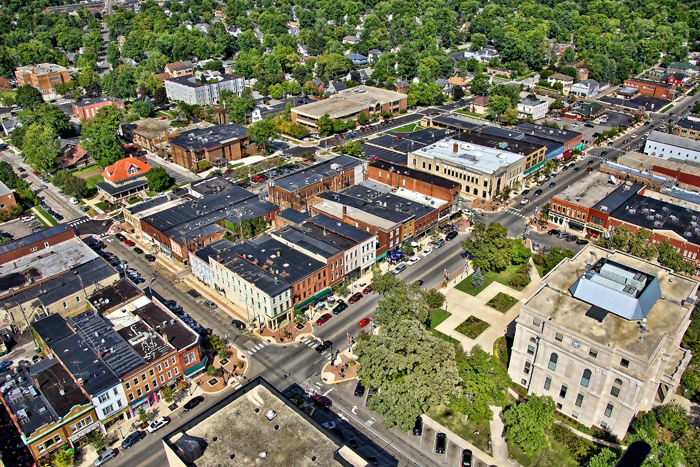 Aerial photo of downtown Valparaiso, Indiana looking northeast over Lincolnway and Washington St. In the bottom right is the Porter County Court building, the center of downtown Valparaiso. Downtown Valpo has a historic square with buildings dating back to the late 19th century. Browse through more of my Northwest Indiana aerial photos taken from across Northwest Indiana! Would you like to have an aerial photo of your home or business? I have a large collection of photographs taken along Indianapolis Blvd/Wicker Ave (US 41) and US 30 corridors. Visit my Northwest Indiana aerial photography page or contact me directly for more information. If you are interested in ordering a print of this photo, click on the button below. Using this photo without prior permission is strictly prohibited. For commercial licensing of this photo, please contact me directly. Aerial photo of Downtown Valparaiso, Indiana over E. Lincolnway by Joey B. Lax-Salinas is licensed under a Creative Commons Attribution-NonCommercial-NoDerivs 3.0 Unported License. Permissions beyond the scope of this license may be available at http://www.joeyblsphotography.com. Aerial photo of downtown Crown Point, Indiana facing east-southeast while just north of US 231. Featured in the center of the photo is the Old Lake County Courthouse, a historic landmark in Northwest Indiana. I took several photos of downtown Crown Point at all angle, including one facing northwest that has the Chicago skyline on the horizon (faintly). 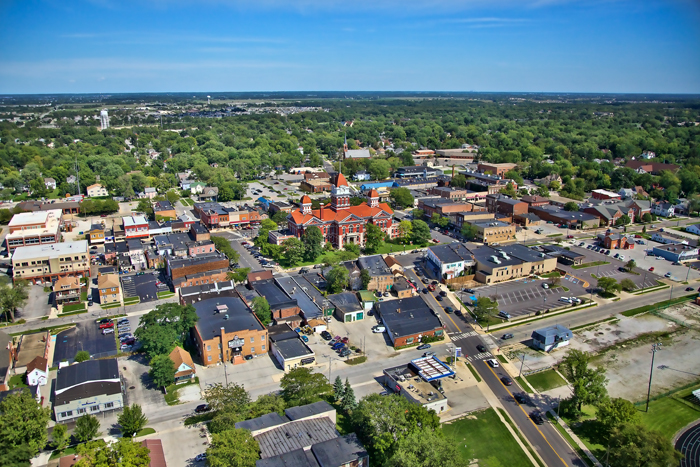 Aerial photo of Downtown Crown Point, Indiana by Joey B. Lax-Salinas is licensed under a Creative Commons Attribution-NonCommercial-NoDerivs 3.0 Unported License. Permissions beyond the scope of this license may be available at http://www.joeyblsphotography.com. 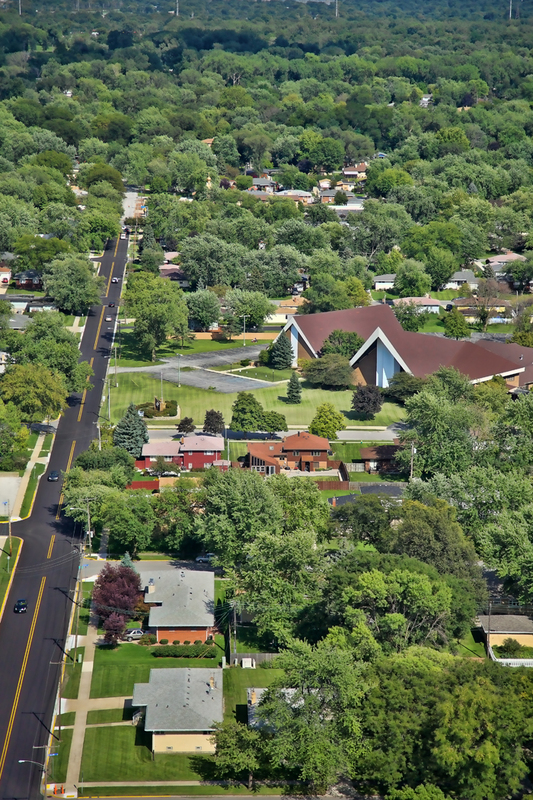 Aerial photo of Munster, Indiana looking east over Broadmoor Ave towards South Side Christian Church. This photo was taken in August 2012, nearly four years after the Little Calumet River flooded the entire neighborhood after the remnants of Hurricane Ike dumped record rainfalls in Northwest Indiana. The inside of South Side Christian Church was a complete loss as were many other homes in the area which later had to be demolished. Today, after being closed for nearly three years, the church is open again and holding regular worship services with a newly renovated interior. Check out more of my Northwest Indiana aerial photos taken across Lake and Porter Counties! Are you interested in having an aerial photo of your home or business? I have a large collection of photos taken along the US 41 and US 30 corridors. Visit my Northwest Indiana aerial photography page or contact me directly for more information. 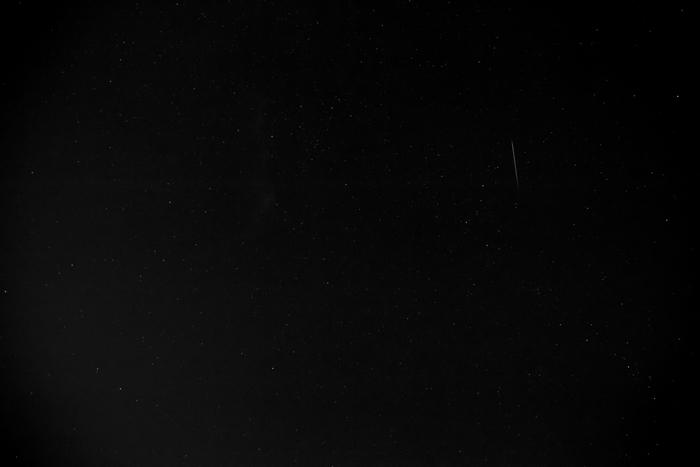 If you are interested in having a print of this photograph, click on the button below. Using this photo without prior permission is strictly prohibited. For commercial licensing of this photo, please contact me directly. Aerial photo of Munster, Indiana near South Side Christian Church by Joey B. Lax-Salinas is licensed under a Creative Commons Attribution-NonCommercial-NoDerivs 3.0 Unported License. Permissions beyond the scope of this license may be available at http://www.joeyblsphotography.com. 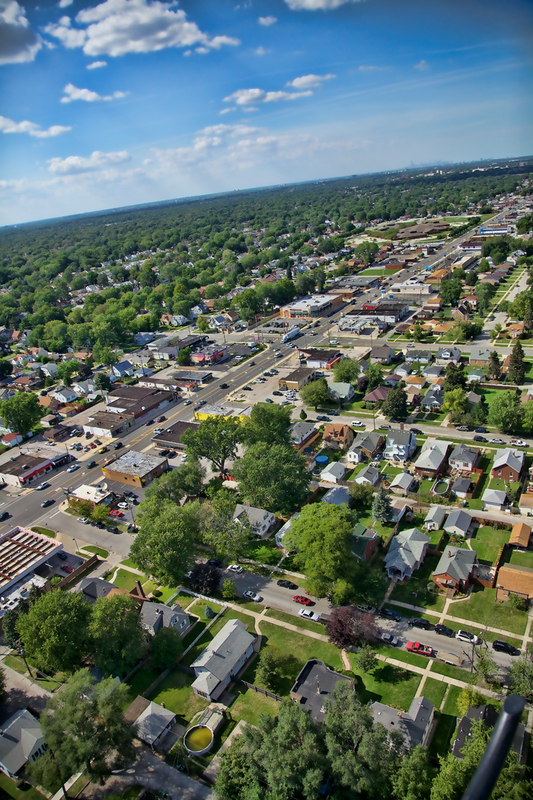 Aerial photo of Hammond, Indiana looking north up Calumet Ave just south of 173rd St. The Chicago skyline can be seen on the horizon in the distance. My very first job at just 16 years of age was at Terry’s Aquarium in Hammond, which can be seen just west of the Calumet Ave / 173rd St interchange next to the Walgreen’s parking lot. Aerial photo of Schererville, Indiana at US 30 and Burr St by Joey B. Lax-Salinas is licensed under a Creative Commons Attribution-NonCommercial-NoDerivs 3.0 Unported License. Permissions beyond the scope of this license may be available at http://www.joeyblsphotography.com. 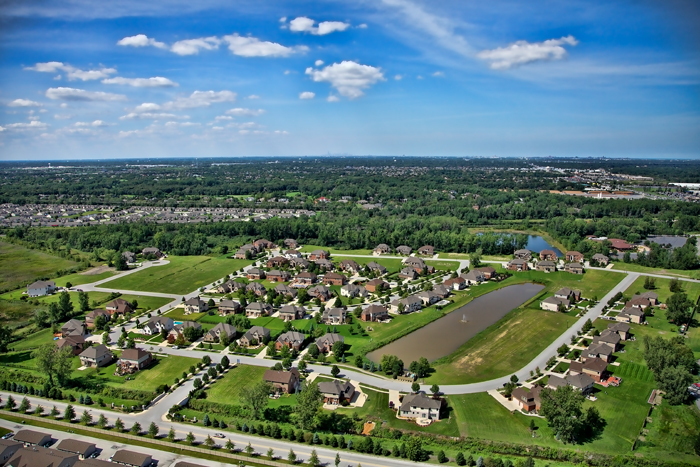 Aerial photo looking north of the Stone Bridge Estates subdivision in Schererville, Indiana. Stone Bridge Estates was constructed by Precision Construction, a Northwest Indiana new home builder. The Chicago skyline can be seen in the distance on the horizon. Aerial photo of Stone Bridge Estates in Schererville, Indiana by Joey B. Lax-Salinas is licensed under a Creative Commons Attribution-NonCommercial-NoDerivs 3.0 Unported License. Permissions beyond the scope of this license may be available at http://www.joeyblsphotography.com. Aerial photo in Schererville, Indiana over the intersection of US 30 and Burr St facing northwest. The Kelly Law Offices are located in the office building at the southeast corner. Across the street is Walgreens, Subway, and several other Schererville businesses. The Chicago skyline can be seen in the distance on the horizon. Aerial photo taken in Hammond, Indiana near the WJOB radio tower, a local landmark. This photo was taken facing south looking down Indianapolis Blvd. In the distance, you can see the interchange of Indianapolis Blvd and I-80/94. In the lower half of the photo, Huhtamaki paper supplies company, Petro’s Restaurant, Taco Bell, Pizza Hut, Carson Pirie Scott and the former lot where Woodmar Mall once stood. The Purdue University Calumet campus can be seen on the left side of the photo in the distance. View my Northwest Indiana aerial photos taken in other communities across Lake and Porter Counties! 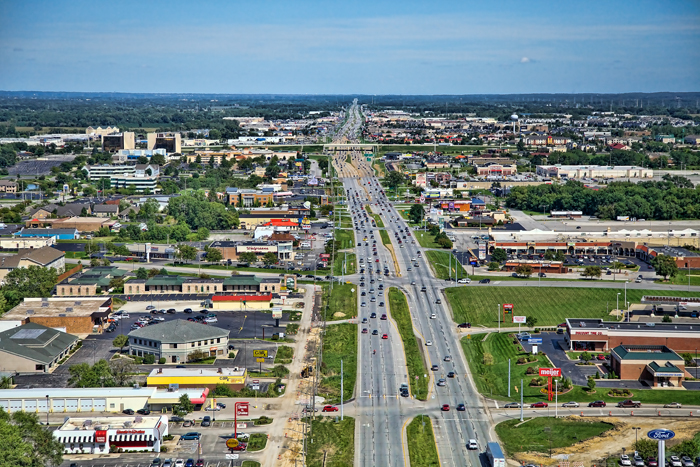 I also have a large collection of unpublished aerial photos taken along the US 41 (Indianapolis Blvd) and US 30 corridors in Hammond, Highland, Dyer, Schererville, Merrillville, Hobart and Valparaiso. Visit my Northwest Indiana aerial photography page or contact me directly for more information. If you are interested in ordering a print of the photograph above, click on the button below. Using this photo without prior permission is strictly prohibited. For commercial licensing of this photo, please contact me directly. Aerial photo near WJOB Tower in Hammond, Indiana by Joey B. Lax-Salinas is licensed under a Creative Commons Attribution-NonCommercial-NoDerivs 3.0 Unported License. Permissions beyond the scope of this license may be available at http://www.joeyblsphotography.com. Aerial photo of Griffith, Indiana looking southwest over Broad Ave.
Aerial photo of Downtown Griffith, Indiana by Joey B. Lax-Salinas is licensed under a Creative Commons Attribution-NonCommercial-NoDerivs 3.0 Unported License. Permissions beyond the scope of this license may be available at http://www.joeyblsphotography.com. 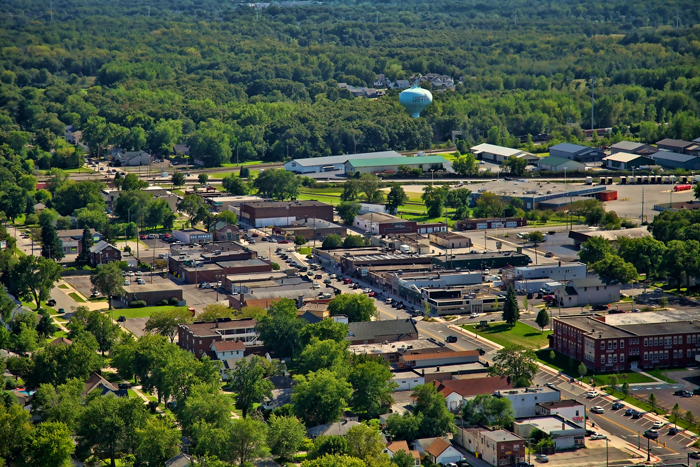 Aerial photo of Saint John, Indiana in Lake County, Northwest Indiana. This photo was taken in August 2012 and overlooks downtown St. John with views of the downtown water tower, police station, St. John Town Hall, the Old St. John Church, and many other local St. John businesses along Wicker Ave (US 41). Be sure to see all of my Northwest Indiana aerial photos taken across Lake and Porter Counties! I have a large collection of unpublished aerial photos taken along the US 41 and US 30 corridors in Hammond, Highland, Schererville, Merrillville and Valparaiso. Visit my Northwest Indiana aerial photography page or contact me directly for more information. Aerial photo of Downtown Saint John, Indiana by Joey B. Lax-Salinas is licensed under a Creative Commons Attribution-NonCommercial-NoDerivs 3.0 Unported License. Permissions beyond the scope of this license may be available at http://www.joeyblsphotography.com. 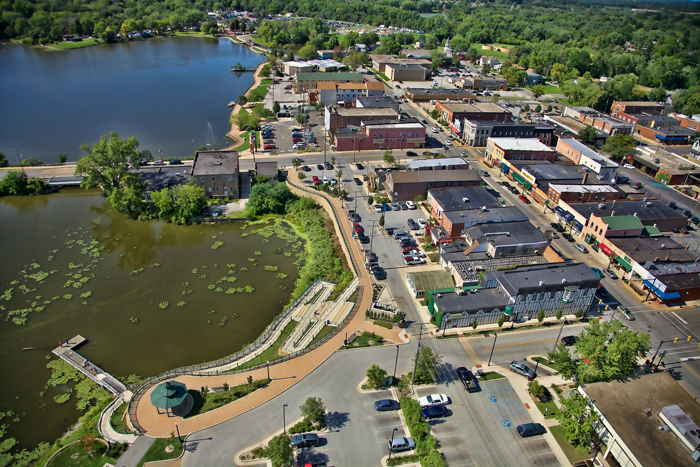 Aerial photo of downtown Hobart, Indiana overlooking Lake George and Main Street. 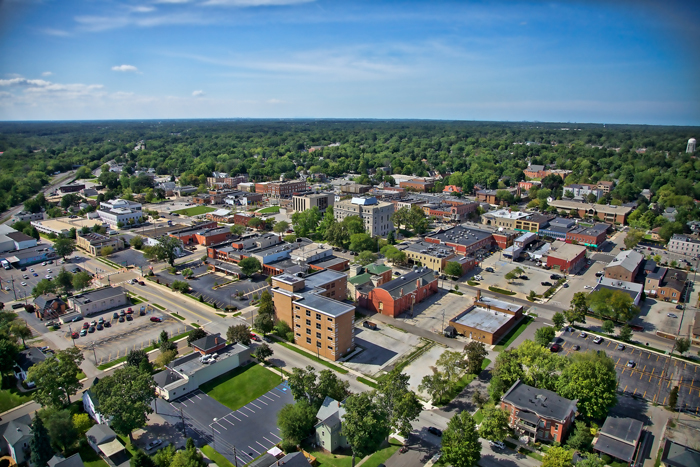 Aerial photo of Downtown Hobart, Indiana by Joey B. Lax-Salinas is licensed under a Creative Commons Attribution-NonCommercial-NoDerivs 3.0 Unported License. Permissions beyond the scope of this license may be available at http://www.joeyblsphotography.com. 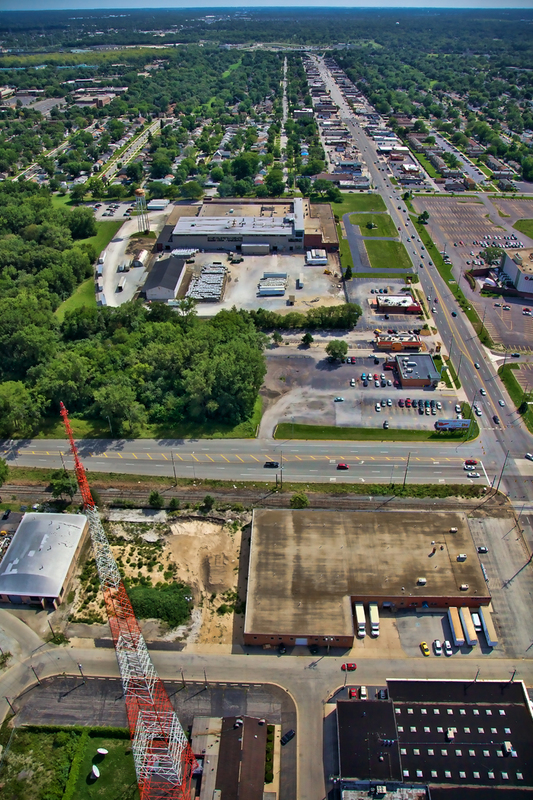 Aerial photo of downtown Chesterton, Indiana facing south and overlooking the intersection of Calumet Rd. and Broadway. Chesterton, Indiana is located in Northwest Indiana in northern Porter County near the Indiana Dunes State Park. Photo taken in August 2012. Check out more of my Northwest Indiana aerial photos taken throughout Lake and Porter Counties! 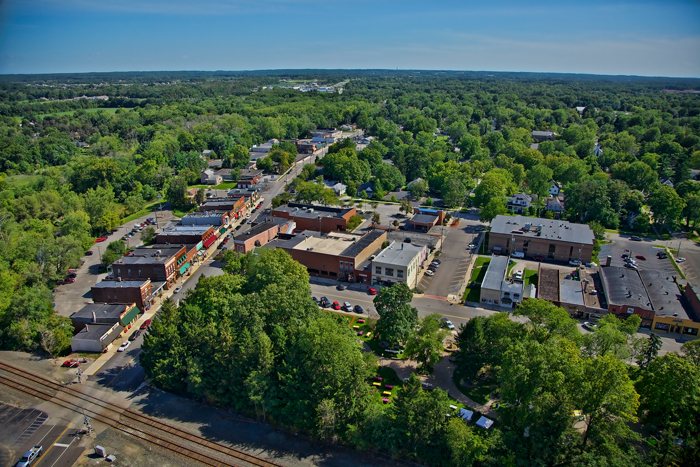 Interested in having aerial photos of your home or business? Visit my Northwest Indiana aerial photography page or contact me directly for more information. If you are interested in prints of this photograph, click on the button below. Using this photo without prior permission is strictly prohibited. For commercial licensing of this photo, please contact me directly. Aerial photo of Downtown Chesterton, Indiana by Joey B. Lax-Salinas is licensed under a Creative Commons Attribution-NonCommercial-NoDerivs 3.0 Unported License. Permissions beyond the scope of this license may be available at http://www.joeyblsphotography.com. Aerial photo of downtown Dyer, Indiana taken in August 2012 in Northwest Indiana. 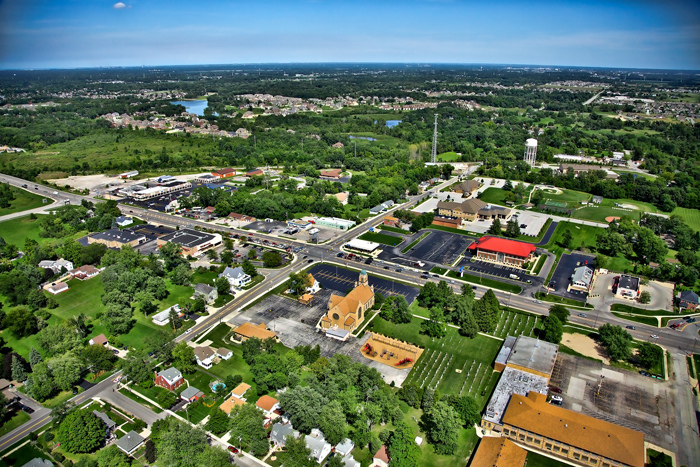 Seen in this photo is US 30 (Joliet St), Franciscan St. Margaret Hospital, the Dyer Town Hall, Dyer Police Department, Venice Italian Steakhouse, St. Joseph Church and more. Aerial photo of Downtown Dyer, Indiana by Joey B. Lax-Salinas is licensed under a Creative Commons Attribution-NonCommercial-NoDerivs 3.0 Unported License. Permissions beyond the scope of this license may be available at http://www.joeyblsphotography.com. 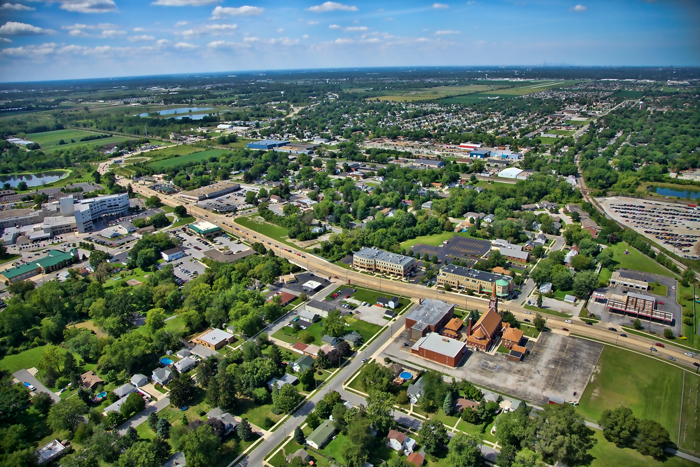 Aerial photo of downtown Crown Point, Indiana taken in August 2012 in Northwest Indiana. Pictured are the Old Lake County Courthouse, which was built in the 1870s. Locally known as ‘The Grand Old Lady’, today the historic courthouse houses shops and stores. In the far horizon in the center of the photo, the Chicago skyline can be seen. I also have an aerial photo of downtown Crown Point facing east. Northwest Indiana Aerial Photo of Downtown Crown Point by Joey B. Lax-Salinas is licensed under a Creative Commons Attribution-NonCommercial-NoDerivs 3.0 Unported License. Permissions beyond the scope of this license may be available at http://www.joeyblsphotography.com. The Country House Resort in Door County is a resort hotel located in Sister Bay, Wisconsin. This photo was taken in June 2012 and is of the gardens and fountain behind the resort. Sister Bay can be seen in the background and the town is just east of the hotel and within walking distance. The Country House Resort Nature Trail begins behind the hotel and leads into town, about one half mile away. 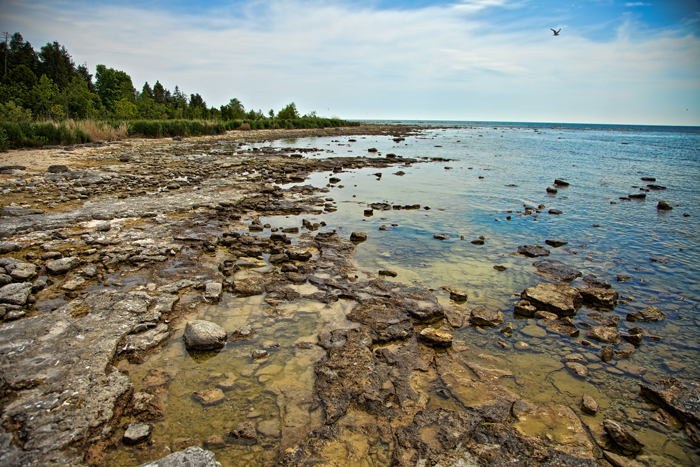 The trail goes through old growth woods and follows the shore along Sister Bay. The Country House Resort in Door County is located near Egg Harbor, Wisconsin which has many shops, stores and restaurants. Country House Resort in Sister Bay, Wisconsin, Door County by Joey B. Lax-Salinas is licensed under a Creative Commons Attribution-NonCommercial-NoDerivs 3.0 Unported License. Permissions beyond the scope of this license may be available at http://www.joeyblsphotography.com. 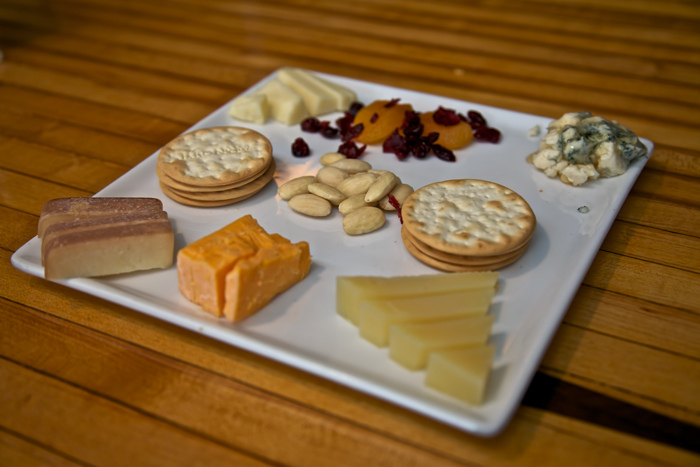 A delicious cheese platter from one of my favorite places in downtown Milwaukee, the Wisconsin Cheese Mart at the corner of 3rd and Highland. I highly recommend stopping by here if you are in town and you love cheese. They make great sandwiches and have a full bar as well. Wisconsin Cheese Mart Platter in Milwaukee by Joey B. Lax-Salinas is licensed under a Creative Commons Attribution-NonCommercial-NoDerivs 3.0 Unported License. Permissions beyond the scope of this license may be available at http://www.joeyblsphotography.com. 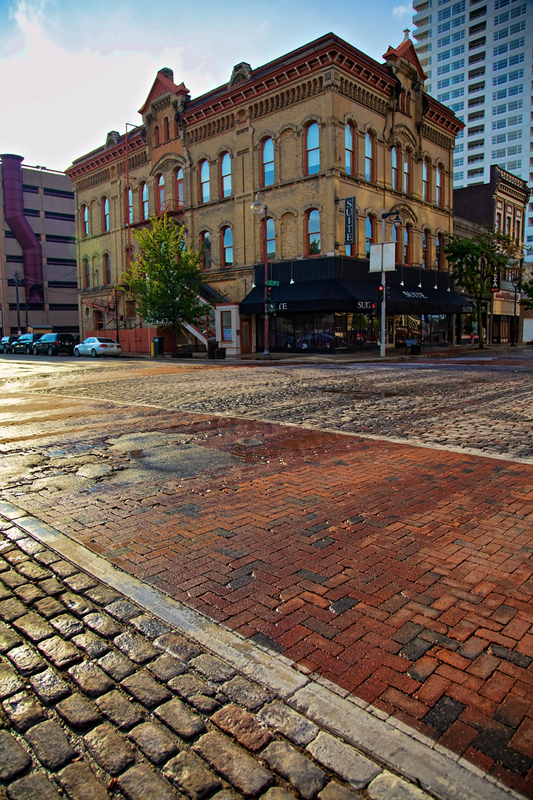 This photo was taken in downtown Milwaukee, Wisconsin just after a rainstorm swept through the area. This is the intersection of 3rd and Highland near the Wisconsin Cheese Mart and was taken in June 2012. The intersection here was made with brick and appears to quite old. Downtown Milwaukee, Wisconsin at 3rd and Highland by Joey B. Lax-Salinas is licensed under a Creative Commons Attribution-NonCommercial-NoDerivs 3.0 Unported License. Permissions beyond the scope of this license may be available at http://www.joeyblsphotography.com. 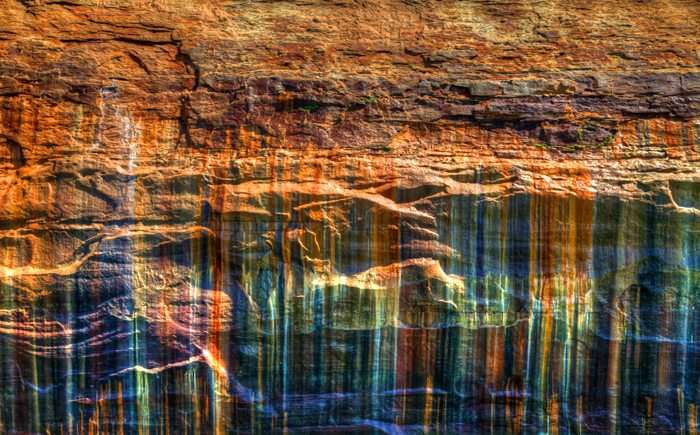 The Painted Rocks National Park near Munising, Michigan in the Upper Peninsula along the shores of Lake Superior. In this photo, minerals have stained the rocks with colorful streaks. In order to see the cliffs, you need to take a boat tour which takes you out on Lake Superior for a two hour roundtrip cruise along the cliffs. There are several arches and a historic lighthouse along the way. Kayaking and canoeing is a popular activity in this area and just west in AuTrain, Michigan on the AuTrain River. Painted Rocks National Park near Munising, Michigan by Joey B. Lax-Salinas is licensed under a Creative Commons Attribution-NonCommercial-NoDerivs 3.0 Unported License. Permissions beyond the scope of this license may be available at http://www.joeyblsphotography.com. 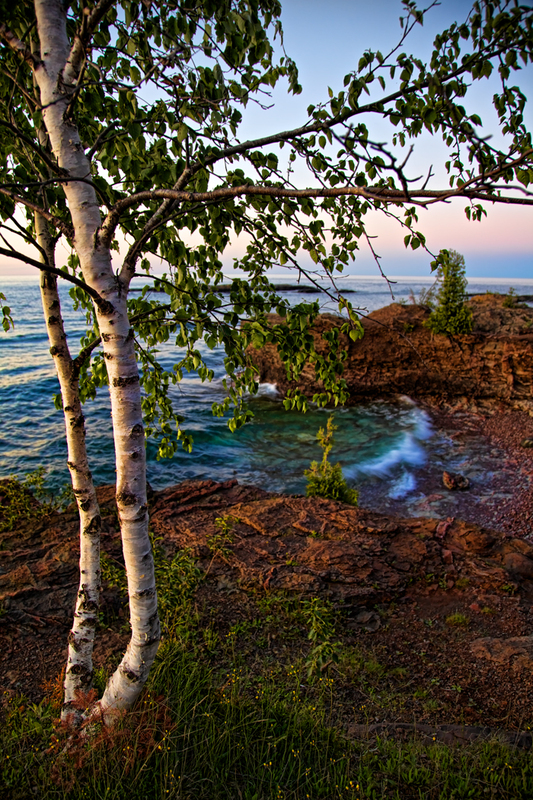 The rocks along the shores of Lake Superior at Presque Isle Park in Marquette, Michigan. 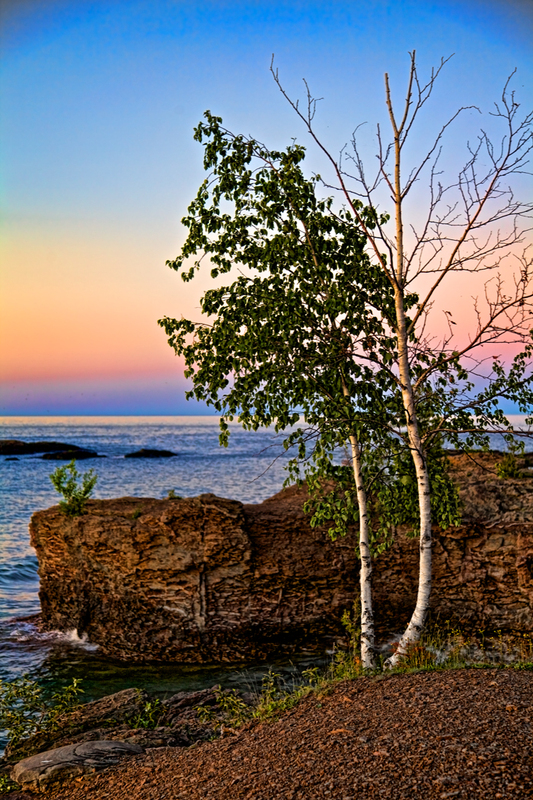 This photo was taken just after sunset in Presque Isle park in June 2012. Presque Isle Park Rocks at Sunset in Marquette, Michigan by Joey B. Lax-Salinas is licensed under a Creative Commons Attribution-NonCommercial-NoDerivs 3.0 Unported License. Permissions beyond the scope of this license may be available at http://www.joeyblsphotography.com. 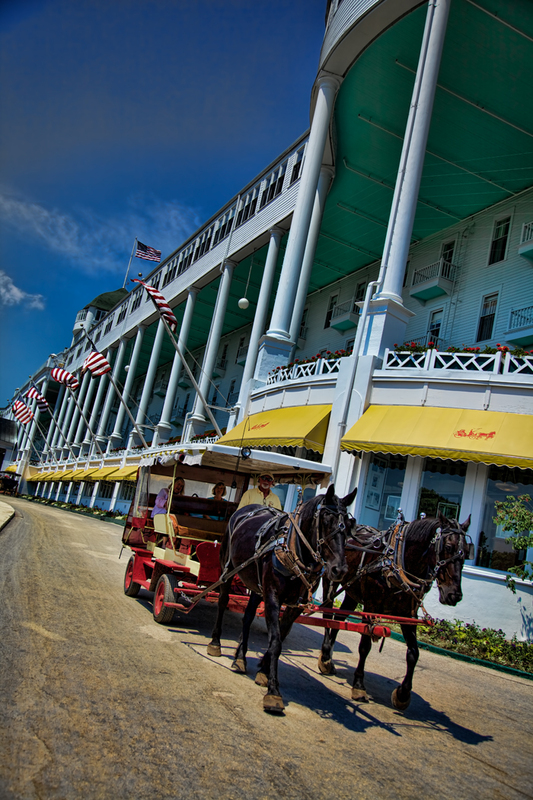 A photo of a horse drawn carriage leaving the historic Grand Hotel on Mackinac Island in northern Michigan. There are no cars allowed on the island and this is the main form of transportation for guests who stay at the hotel. View more photos of the Grand Hotel! Horse Carriage at the Grand Hotel, Mackinac Island by Joey B. Lax-Salinas is licensed under a Creative Commons Attribution-NonCommercial-NoDerivs 3.0 Unported License. Permissions beyond the scope of this license may be available at http://www.joeyblsphotography.com. In this photo, the sun sets over Grand Traverse Bay in Traverse City, Michigan. I took this photo in June 2012 during my first visit to northern Michigan. Traverse City is an absolutely beautiful place to be and the area in that region is incredible. I stayed at the Holiday Inn West Bay, which if in this photo would be just a bit further to the left. While in town, I recommend Amical for dinner and if you like cherries, I recommend a stop at Cherry Republic in downtown Traverse City. Check out more of my sunset photos! Traverse City, Michigan Sunset over Grand Traverse Bay by Joey B. Lax-Salinas is licensed under a Creative Commons Attribution-NonCommercial-NoDerivs 3.0 Unported License. Permissions beyond the scope of this license may be available at http://www.joeyblsphotography.com. Severe storms move through Chicago and Northwest Indiana on August 4, 2012. This video was taken around 4:15pm in Schererville, IN facing west towards Dyer and the Indiana/Illinois stateline, just twenty miles south of Chicago. This is the same storm that tore through Lollapalooza, which sent concert goers running for cover. The storm brought heavy rains and high winds with wind gusts well over 60mph at times. My plants took a pummeling on the balcony of my condo, but they survived unscathed. View more of my weather photos and videos! NEWS AGENCIES AND REPORTERS: You have my permission to use these photos in any news broadcast with credit given to the images. Please credit Joey B. Lax-Salinas / JoeyBLSPhotography.com. Northwest Indiana is a picturesque place to take photos, so long as you know where to take your photos. As a Northwest Indiana wedding photographer, people ask me all the time about Northwest Indiana wedding photo locations, what my recommendations are, and about the places that I have been to and photographed. There are many more places that could surely be added to the list and over time, I may add to it. Bailly Homestead / Chellberg Farm – (Porter, IN) – The Bailly Homestead and Chellberg Farm is a historic settlement in Porter County and is part of the Indiana Dunes National Lakeshore. The site is located north of US 20 near Mineral Springs Road in Porter, IN, not far from the entrance to the Indiana Dunes State Park. This site features an old settlement house, wooded areas, old farming equipment and more. Buckley Homestead County Park – (Lowell, IN) – Buckley Homestead is located just east of Lowell, Indiana and south of State Road 2. It is a living farm with a pioneer log cabin, a one room schoolhouse and farm equipment that date back to the 19th century. It is open daily until sunset and is part of the Lake County Parks. Carmelite Fathers – (Munster, IN) – The Carmelite Fathers is located in Munster, Indiana along Ridge Road just east of White Oak Ave. There are several acres of wooded land filled with tons of religious memorabilia including a large grotto, holy steps, and several other attractions. The Carmelite Fathers has close ties with the Catholic and Polish communities in Northwest Indiana. Centennial Park – (Munster, IN) – Centennial Park is located in Munster, Indiana on Calumet Avenue just south of 45th St and the CN railroad tracks. The park is a former landfill that was active up until sometime in the late 1980s or early 1990s and was converted into a large park, reception hall, dog park and 9 hole golf course with driving range. There is a large retention pond in the middle of the park with several wooden boardwalks and bridges that make this place picturesque. Don’t be dismissed by the fact that this was a former landfill; there is little to no evidence of that era left. A Saturday in the summer can see as many as a dozen or more wedding parties that come to the park for pictures. Coffee Creek Watershed Conservancy – (Chesterton, IN) – Coffee Creek Watershed Conservancy is located along State Road 49 in Chesterton just north of the Indiana Toll Road (I-80/90). This park and conservancy was built to accompany a large residential and commercial development that was suppose to develop in that area in the early 2000s. There is a creek that runs through the park and much of the creek area has been professionally landscaped with many natural large stones brought in and used. There is also a large fountain and a pavilion in the park, but much of the area is open field and some wooded areas. County Line Orchard – (Hobart, IN) – County Line Orchard is located just east of Hobart in Lake County on County Line Road. County Line Orchard is a seasonal place for photos and you may need advanced permission in order to take photos here. This place is a great location for fall photos. There are large apple orchards, bails of hay and plenty of other county photos that can be taken here. Deep River County Park – (Hobart, IN) – Deep River County Park is located just east of Merrillville and north of US 30 at Old Lincoln Highway and County Line Road, about four miles south of County Line Orchard. This park offers many great locations and has quite a few open areas as well as wooded areas. Deep River runs through the park and there are several bridges available for scenic photos. There is also an old brick building that was built in 1876 with an attached Grist Mill and a gazebo not too far away as well. Towards the back of the park is an old sugar shack, where maple syrup is made every March. This is one of my favorite locations to photograph weddings and I think October is the best month to shoot here, although May has a lot of spring beauty too. Downtown Crown Point Square – (Crown Point, IN) – Downtown Crown Point offers a historic square that surrounds a historic and ornamental courthouse. There is a theater that has a box office window and many other old structures. The Old Lake County Jail, which once locked up John Dillinger and is famous for being the jail Dillinger broke out of in the early 1930s, is located just one block south. The jail is only opened with limited hours and arrangements to take photos here may need to be made in advance. Downtown Valparaiso – (Valparaiso, IN) – Downtown Valparaiso offers a town square that surrounds a courthouse. The downtown Valparaiso courthouse is not nearly as ornamental as Crown Point’s courthouse; it has a more traditional stone appearance. The square and downtown area, however, is about twice the size of Crown Point’s downtown. There are several alleys and old brick that can be used as backdrops. Gibson Woods Nature Preserve – (Hammond, IN) – This nature area is located near 165th and Cline Ave on the far east side of Hammond. The Gibson woods is mainly wooded with paths and can be picturesque at various times of the year. Indiana Dunes State Park & National Lakeshore – (Lake and Porter Counties) – The Indiana Dunes is by far one of the most popular places for wedding, but more so engagement photos. The Indiana Dunes State Park and National Lakeshore stretches from Marquette Park in Gary east to Michigan City, with various points unaccessible due to the steel mills. The majority of that stretch of land, which is roughly twenty miles of lakefront, is open to the public. The best areas to photograph engagements and wedding photos is in the actual State Park. There is a century old bathhouse, the dunes, trails, woods, and the shoreline. Be prepared to get your wedding dress sandy; it’s completely unavoidable to leave the park without sand in your shoes and on the bottom of your dress. Lake George – (Hobart, IN) – Located in downtown Hobart, this location has limited photo opportunities but is picturesque nonetheless. The best time for photos at this location would be at sunset and just after sunset. Lemon Lake – (Cedar Lake, IN) – Lemon Lake is a county park located south of Cedar Lake, IN in rural Lake County. Lemon Lake offers a lake, nature trails, woods, and rolling prairies as photo backdrops. Marquette Park – (Gary, IN) – Marquette Park is the crown jewel of Gary, Indiana and is located in the Miller Beach neighborhood along the lakefront. Marquette Park is undergoing a major renovation currently, but much of the park has been complete. There are views of the marshlands, the lakefront, woods, trails and more all through Marquette Park. Michigan City Lighthouse – (Michigan City, IN) – The Michigan City Lighthouse has always been a popular wedding photo destination. The lighthouse is located in the heart of downtown Michigan City along the lakefront near Washington Park. Shrine of Christ’s Passion – (St John, IN) – The Shrine of Christ’s Passion is one of the newer wedding photo locations in Northwest Indiana and is less than ten years old. Located on US 41 in St. John just north of US 231, this location offers a pathway that depicts the life of Jesus Christ with bronze statues representing different times during the life of Christ. Wicker Park – (Highland, IN) – Wicker Park is located in Highland, Indiana at Ridge Road and Indianapolis Blvd. This historical park has been visited by at least two U.S. Presidents (Calvin Coolidge delivered a dedication address in 1927 and then Senator Barack Obama made his last public campaign stop on Halloween in October 2008). Wicker Park is wooded with old growth trees, has a large golf course, driving range, a public walking trail, and river banks making up the Hart Ditch and the Little Calumet River. These locations are considered private locations, either restaurants, banquet halls, or other areas that are not public property and permission may be needed in order to take photos. Are you still looking for a Northwest Indiana wedding photographer? Click here.